Move your marketing budgets online with confidence. Your shoppers are increasingly using online to make purchase decisions so you need to be where they are. 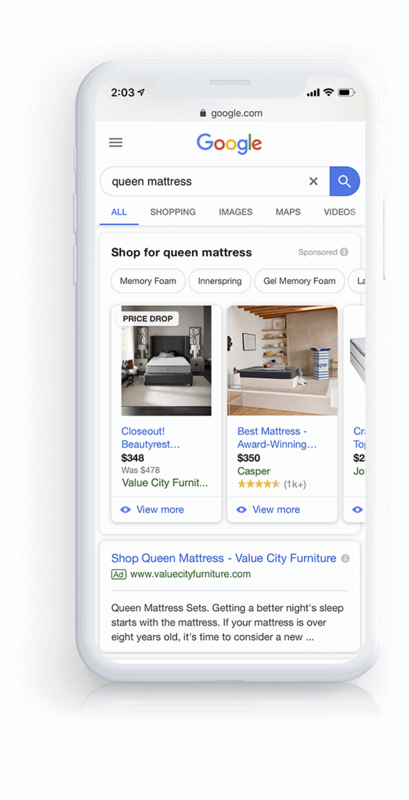 We’ll help you invest in marketing channels that reach shoppers all along the furniture path to purchase. We work with clients across all paid marketing channels to ensure they are spending their budgets wisely and measuring the data that indicates success. Bolster your presence where furniture shoppers are doing their research. Pay-per-click ads on Google, Bing, and Yahoo are an effective way to reach shoppers who are in-market for furniture. We help retailers lay out the right targeting and bidding strategies to ensure they are getting maximum impact from their campaigns. Stay in touch with your best prospects – those who have already been on your site. Retargeting through email and display is an effective and efficient channel but one with significant complexity due to the length of the furniture path to purchase. We manage programs that deliver the right messages at the right time to drive conversion. Reach likely buyers with your best promotions. Affiliate programs connect retailers with active shoppers looking for the best value. We work with our retailers to build affiliate marketing programs that generate positive ROI by driving incremental sales. Stand out to shoppers with design that best represents your brand identity. Blueport can handle all the creative needed for successful digital marketing campaigns. We combine high quality imagery and modern design to engage shoppers and drive response.